I am a willing and able beauty guinea pig. My MO has always been that I will try anything once. I’ve gotten acupuncture on my face; I’ve locked myself in a sensory deprivation tank. The #KylieJennerLipChallenge? Been there, done that, and still have the bruised selfies as proof. Which brings me to… my lips. Many of the wacky treatments and products I’ve tried have involved plumping up my pout (no injections, though—promise), because it’s just my thing: the aspect of my appearance that I’m not crazy about. My lips aren’t the thinnest in the world, but they’re on the small side—and vaguely asymmetrical, enough to drive me crazy. On most days, some expertly applied lip liner does the trick, but I’ll never say no to the opportunity to give them some more oomph. So when I read Michelle Phan’s profile on Into the Gloss recently, I digested this little tidbit as a precious gem: “For lips,” she said, “I’ve been doing micro-needling with a derma-roller that I get from Switzerland. … Within two days you will notice right away that your lips will look bigger because the collagen will grow back.” She said that she preferred this process over fillers, and BAM: I was sold. Keep scrolling to see if the treatment worked for me! If you’re not familiar, a derma-roller is a handheld device that contains hundreds of tiny needles on its head (slightly terrifying, I know). By rolling across problem areas on your face, the needles create micro-injuries, which then boosts collagen while your skin heals and regenerates. Many cosmetic dermatologists recommend it as an alternative to lasers for a manner of skin conditions, ranging from discoloration to fine lines. I’ve faithfully used my derma-roller for more than a year, as it has proved to be an immensely effective way to remove my stubborn under-eye bags. It’s best to use a product as a primer before derma-rolling because then the needles can really push the treatment beneath the surface of the skin. So for pout-boosting purposes, I dug up my tube of G.M. Collin’s Lip Plumping Complex ($26)—a wonderful tingly gloss that’s great to use on its own if needles make you queasy. 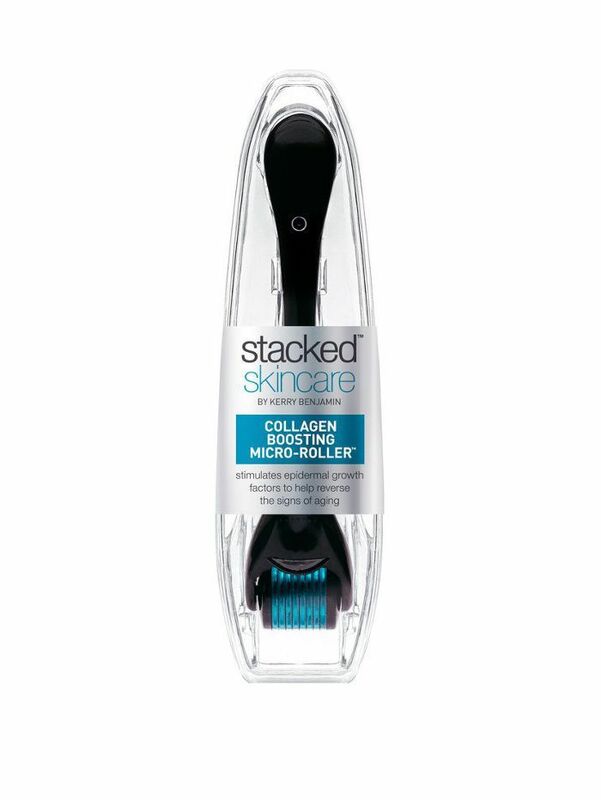 After slathering that on, I pulled the derma-roller out of its packaging and tried to convince myself that I was a lot braver than I actually felt. After rolling for a few minutes and deciding I had probably done enough damage, I applied more of the lip-plumping gloss and went on my merry way. After the bruising debacle that was the #KylieJennerLipChallenge, I was fully prepared to hide my face in public if need be. But aside from a little bit of redness and a sensation similar to a mild sunburn, I was totally fine. Then, it was time to begin the waiting game to let the collagen regeneration do its work. And huzzah! It wasn’t a mega pout or anything, but two days later, there was a difference for sure. My lips were definitely firmer and slightly bigger—which, if nothing else, provides a much better canvas for liner and lipstick. And given that this was just the first round, I had high hopes for the months ahead—sure enough, keeping up with once-a-month retouching has proven great for my pout. Take that, #KylieJennerLipChallenge. This post was originally published on August 30, 2015. Needles not your thing? This magical serum gets mega results—in less than a minute.